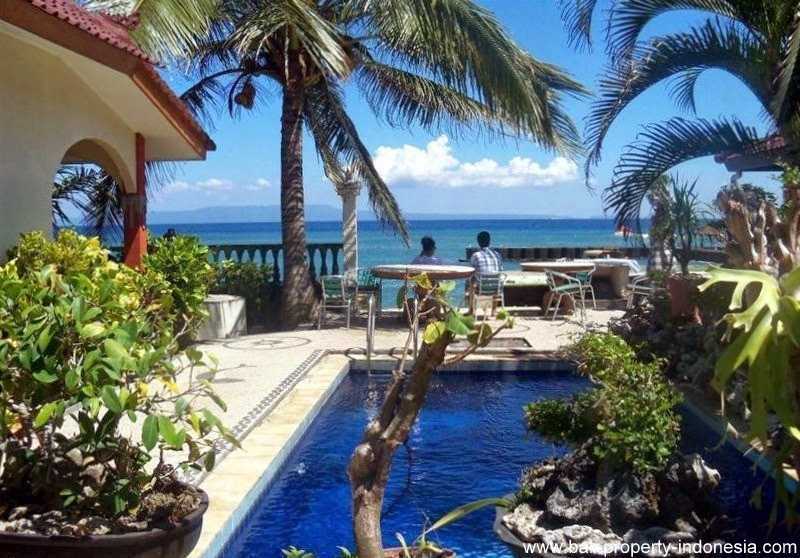 Candidasa almost beachfront bungalow is small complex. 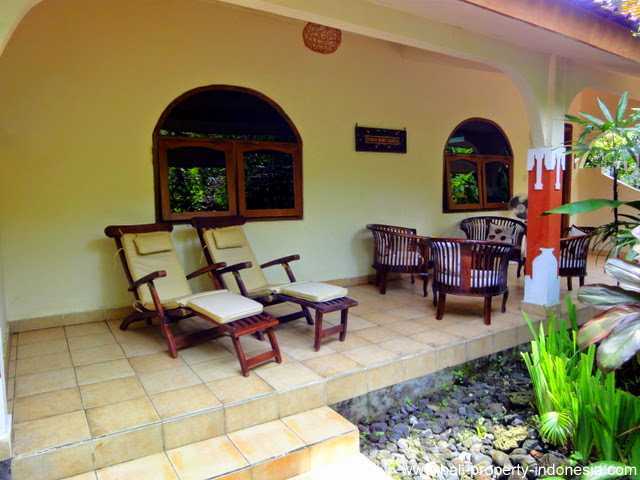 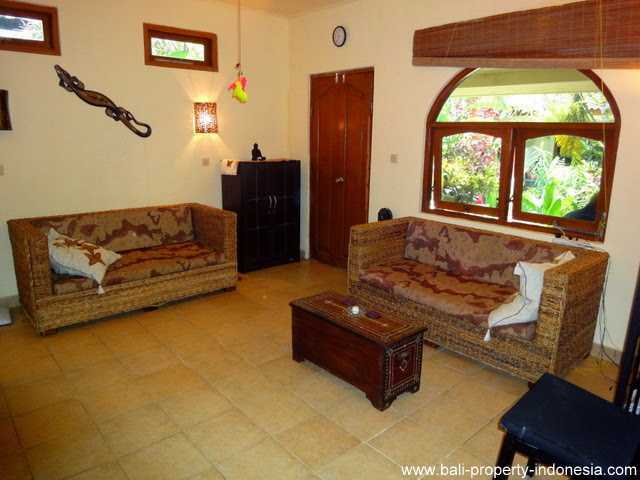 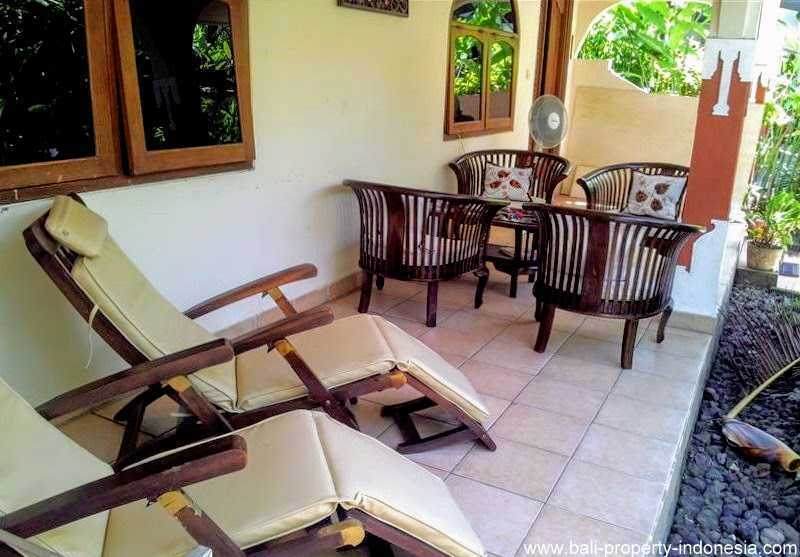 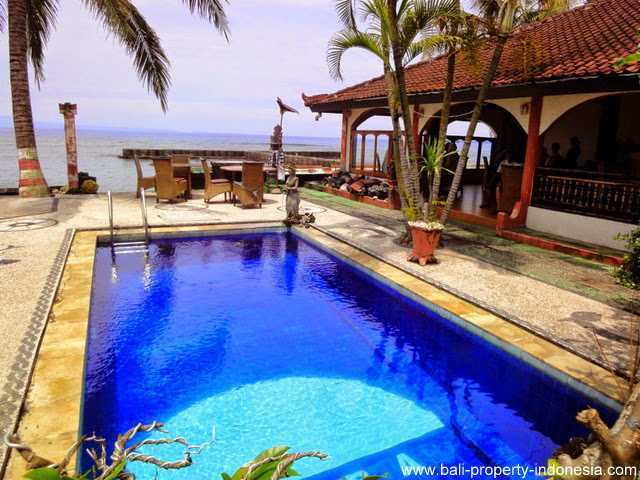 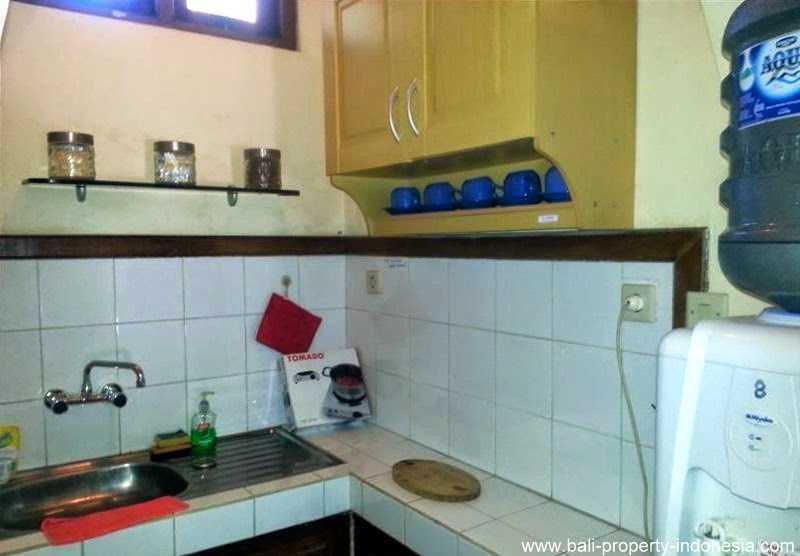 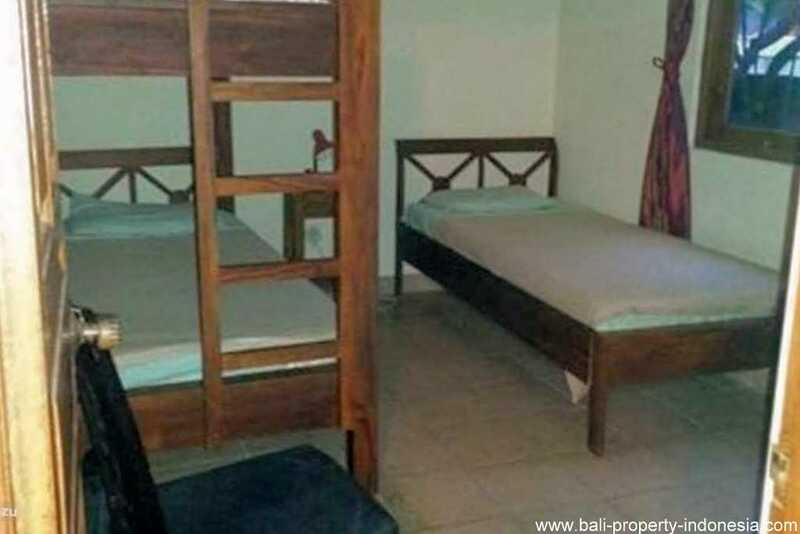 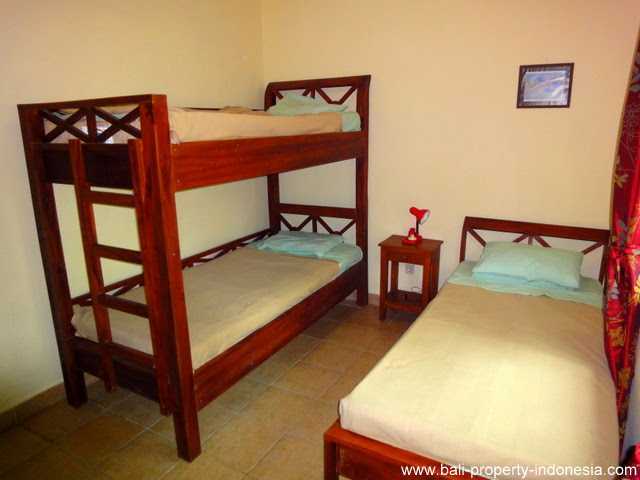 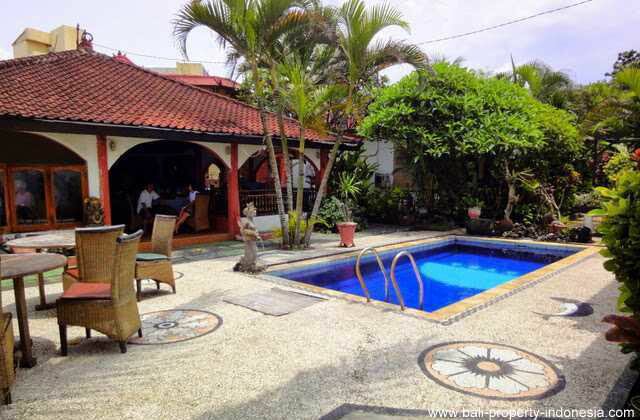 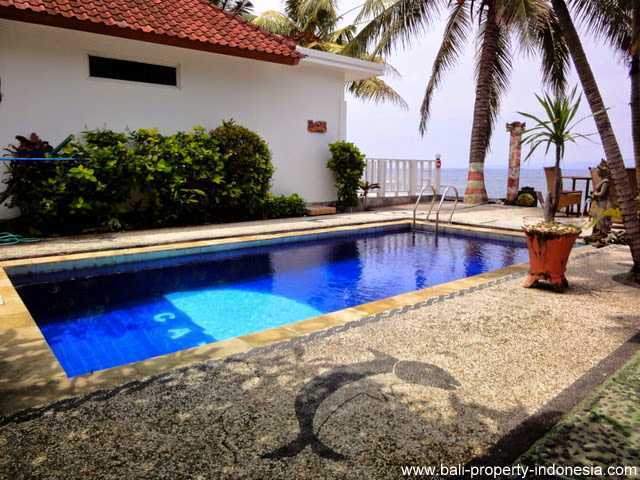 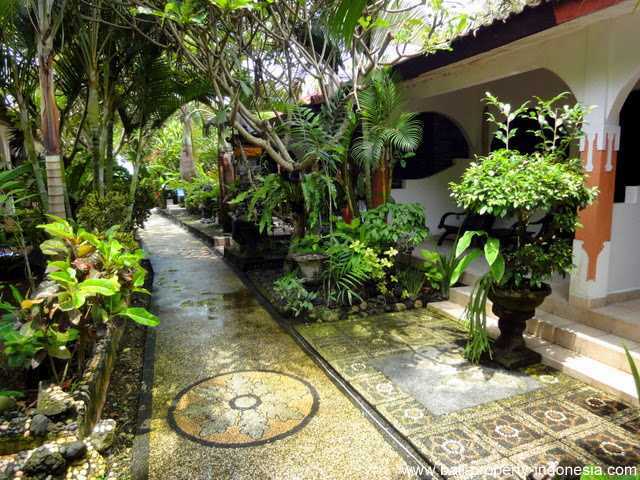 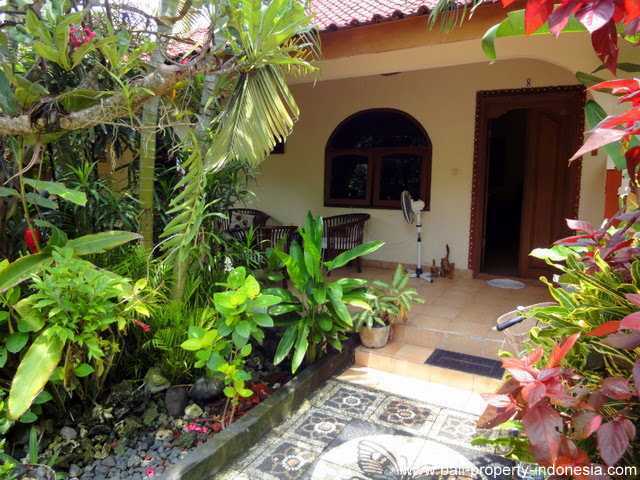 On offer for sale, a simple holiday bungalow on a resort directly at the coast of Candidasa. 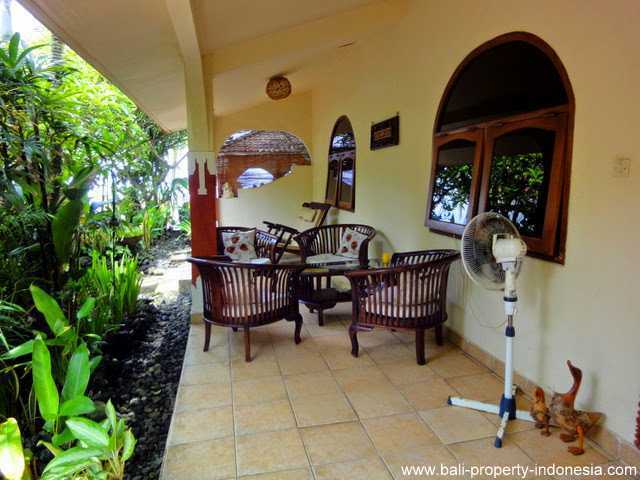 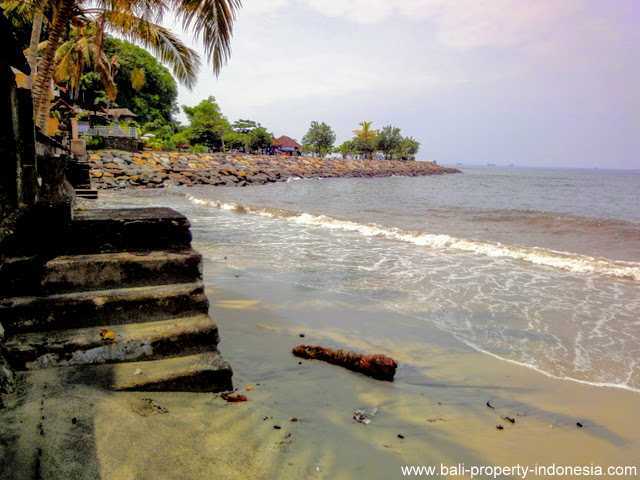 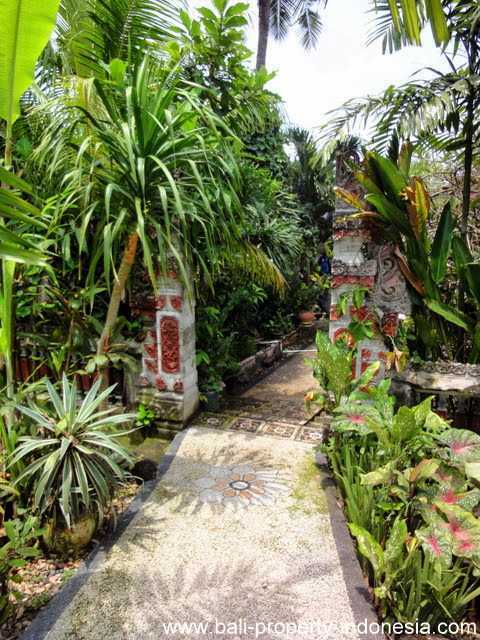 This simple holiday bungalow is located at a small private resort directly at the beach and sea of Candi Dasa. 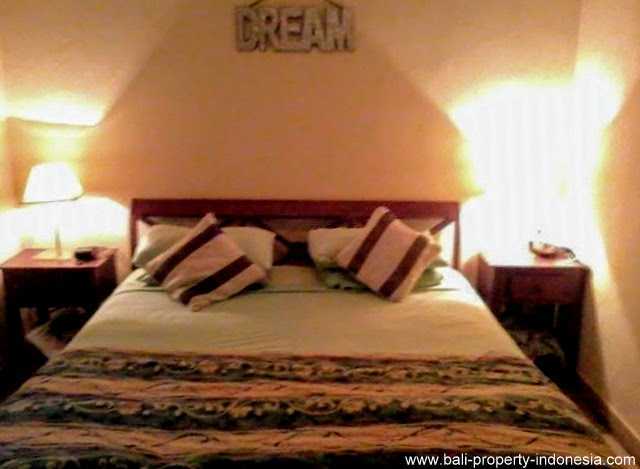 This bungalow is perfect for those who would like to obtain a small property to rent it out to holiday makers. 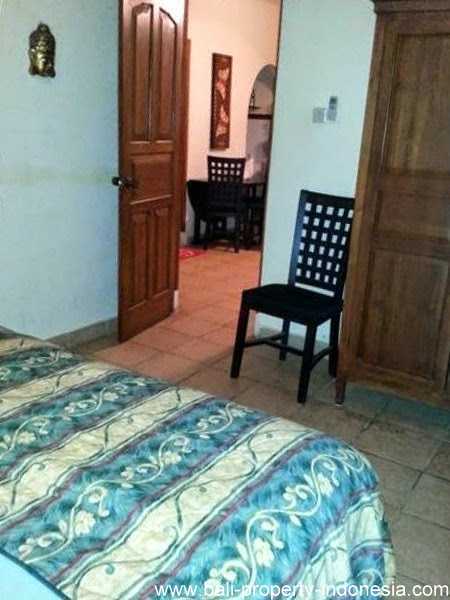 Present at the resort is a local manager that welcomes your guests by handing over the key and from that point your guests are free to go and do whatever they want. 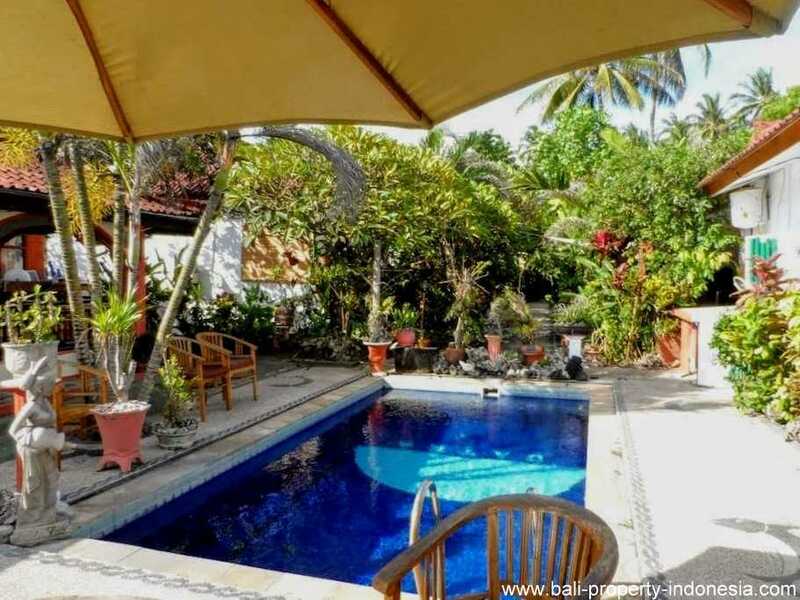 The resort is offering a common pool and a restaurant for a drink and some simple meals. 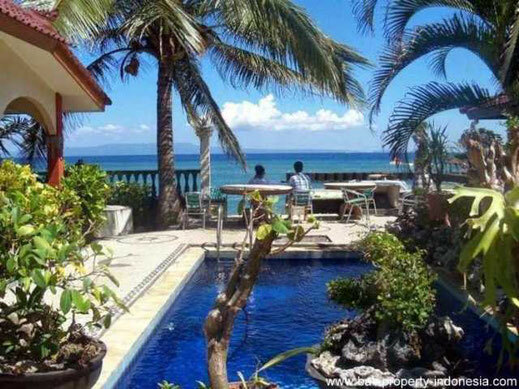 Candidasa is offering over the last few years more and more entertainment like cafes and restaurants with a good menu to choose from. 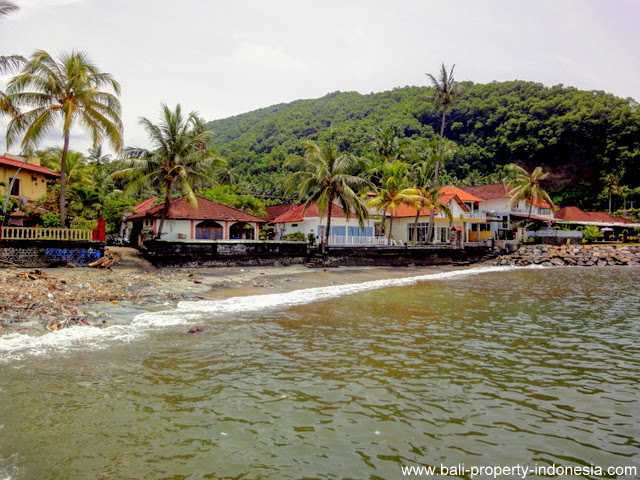 This in combination with trips over Bali and the diving or snorkeling adventures that this area has to offer makes Candidasa a very interesting place to be for tourists. Besides renting out this bungalow, living on a permanent base is also possible. 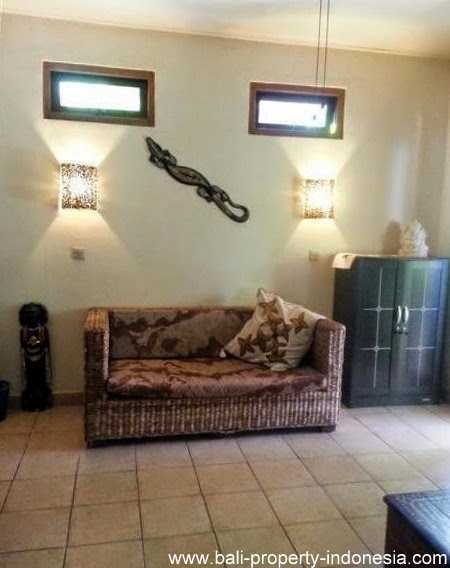 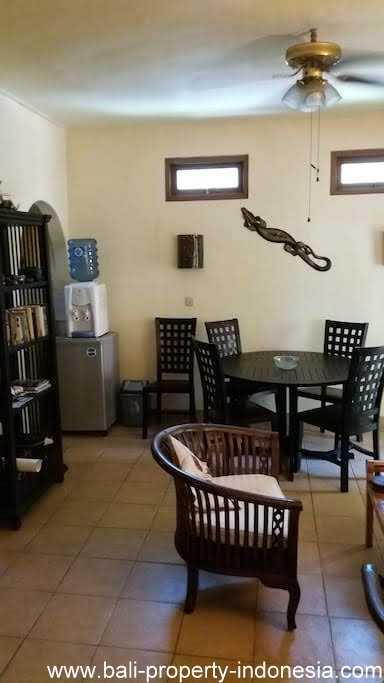 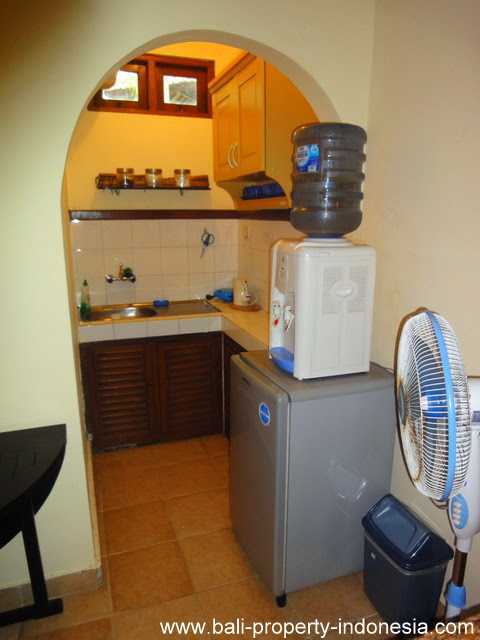 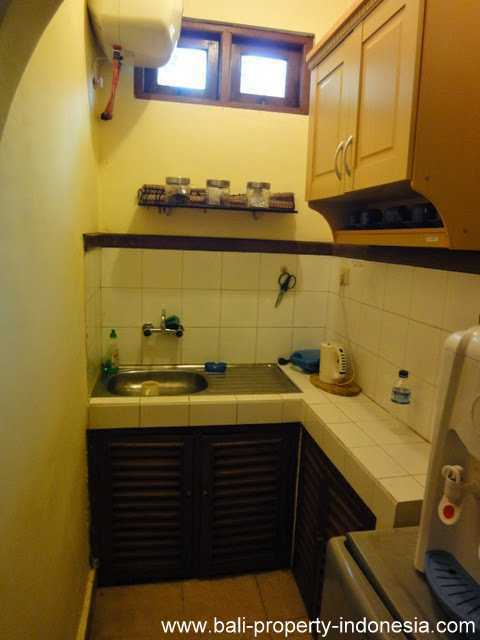 This bungalow offers you two bedrooms, each with an airco unit, a basic bathroom and kitchen. 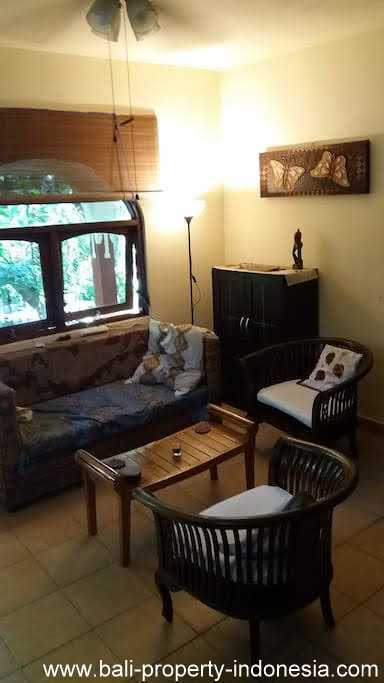 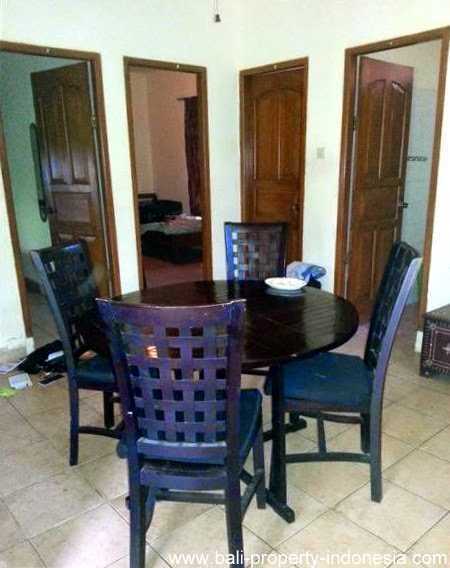 The living is furnished and outside is a terrace with furniture as well. 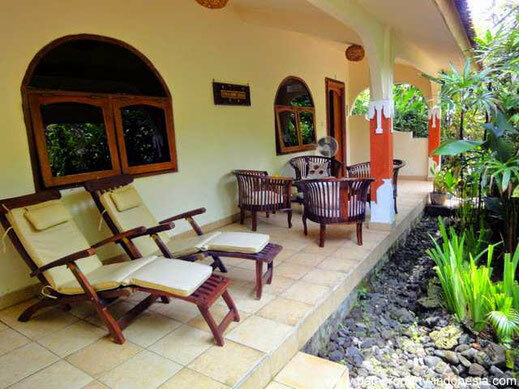 You have to consider due to the purpose of this small scaled resort that the privacy is less from the terrace. 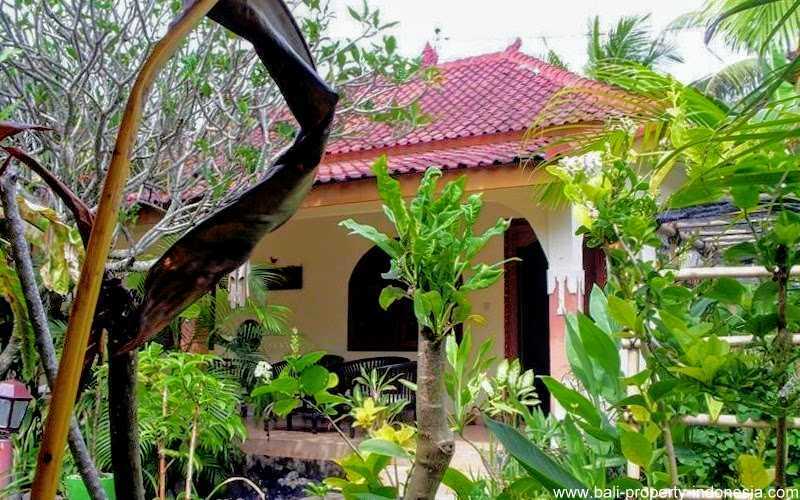 Sanur can be reached within half an hour driving. 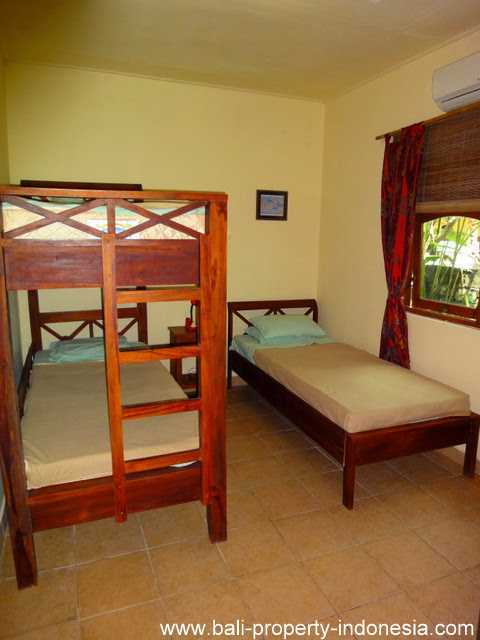 Also the Green School is about half an hour driving away from the villa. 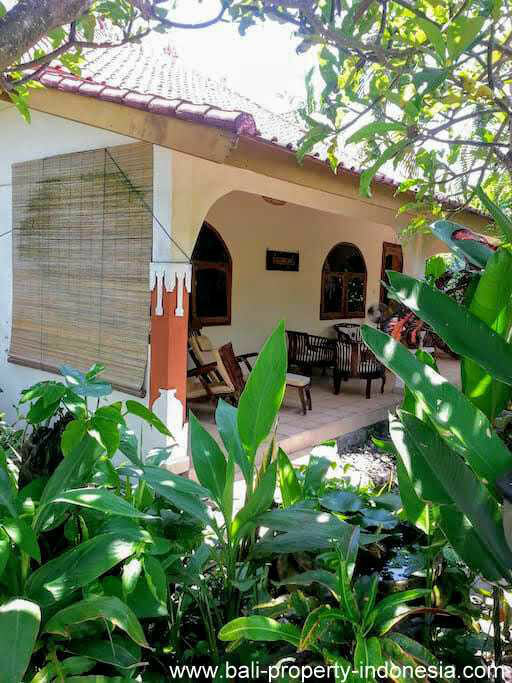 In case you are interested in this bungalow with these rental prospects and want to visit this location or would like to know more, please use the contact form here below. 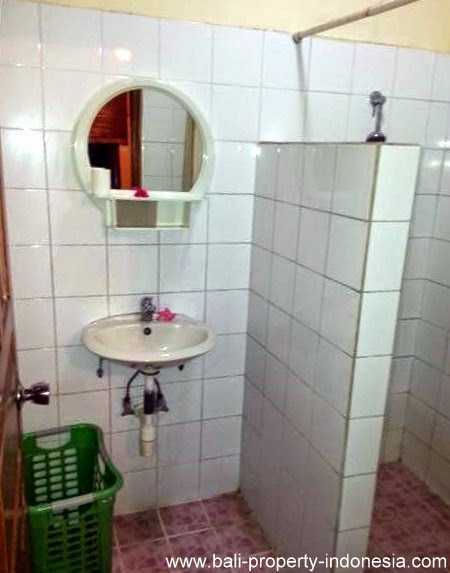 The average monthly costs are about EUR 110. 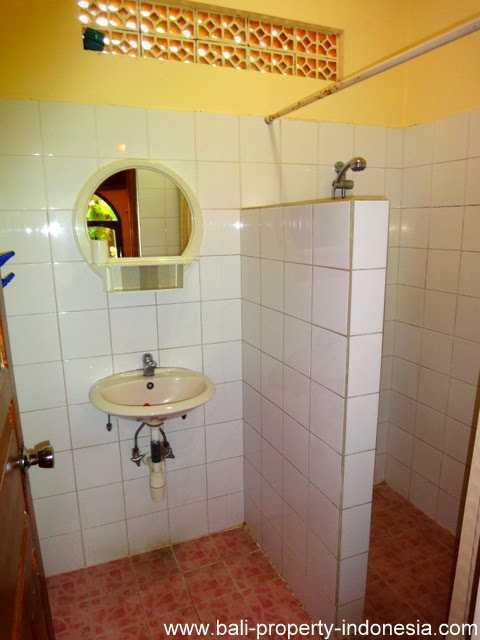 Including in these costs are the salary for the staff, electricity, laundry, water and maintenance for the community pool and garden. 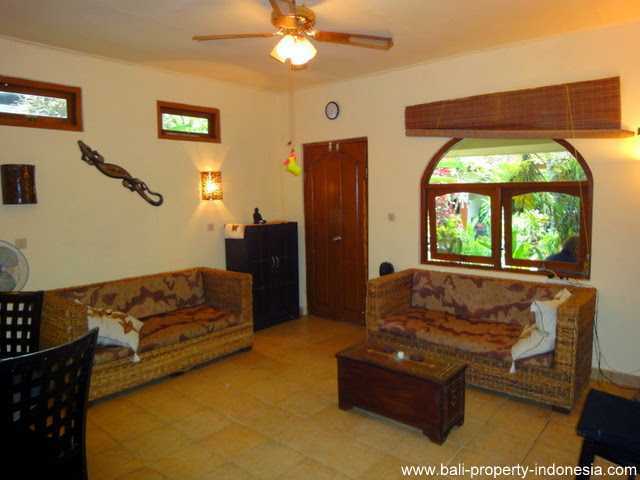 Insurance for this bungalow is costing EUR 70 per year. 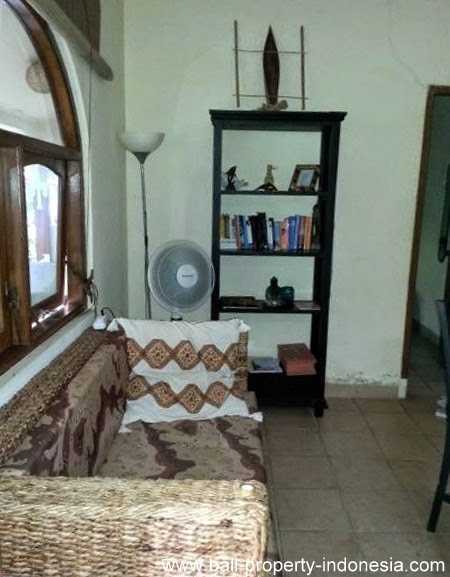 Maintenance for the AC if for account of the owner.